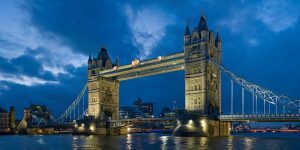 Over centuries, engineers have displayed a remarkable skill of combining creativity and ingenuity in constructing spectacular bridges, a feat that continues to captivate the world with a multitude of outstanding achievements. Some of the world’s most eye-catching bridges carry a rich history of art and triumph over different obstacles. Others pride in modern innovation, merging design and technology to set forth a new age of engineering marvels. 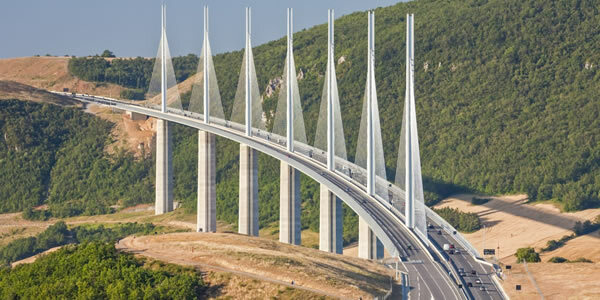 Lauded as one of the greatest engineering achievements of all time, the Millau Viaduct is the tallest bridge structure in the world with a pier and mast rising 1,100 feet above the ground. Using state-of-the-art techniques, the bridge was constructed using a blend of technologies like laser, GPS, sliders, self-climbing formwork, specific surface coats, high performance concrete and innovative materials. Opened in 2004, the sleek, cable-stayed construction aligns seven giant masts across the scenic river valley. 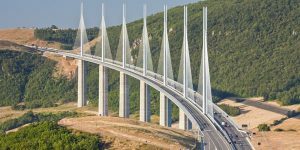 An inspiring blend of art, architecture and engineering, the Millau Viaduct gives an illusion that it is floating above the valley. 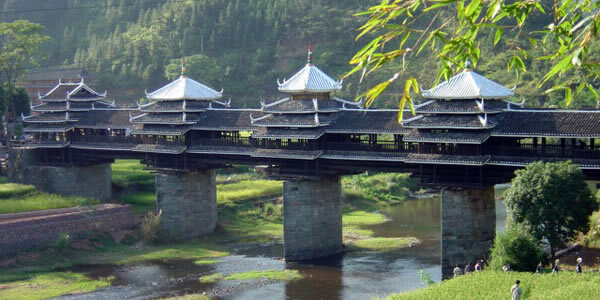 The Dong people of Guangxi Province are renowned for building stockade villages as well as erecting covered bridges with porches and pavilions which provide shelter even when it rains. Completed in 1916, The Chengyang Wind and Rain Bridge is one of the most popular bridges in China. Sometimes called the Yongji Bridge or Panlong Bridge, the structure is 64.4 meters long, 3.4 meters wide and 10.6 meters high. Amazingly, the builders did not use a single nail or rivet to piece the bridge together. Rather, they skillfully dovetailed wooden structures on top of stone towers. Not only is the structure a bridge, it also serves as a series of shaded pagodas, corridors, verandas, relaxing benches as well as a souvenir market. 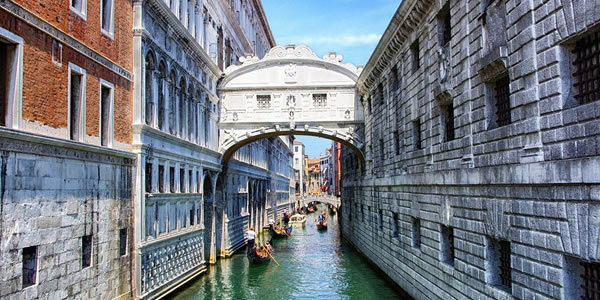 One of the most famous bridges in Venice is the Ponte dei Sospiri, commonly known as the Bridge of Sighs. Suspended over the water of the Palazzo Rio, the arched bridge is built of fine, white limestone with lattice-like screens covering two small rectangular windows. It was erected to link up facade of the ducal Palace with the newly established prison. 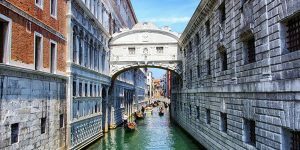 Supposedly, the bridge takes its name from the sad sighs of the condemned prisoners peering from its barred windows to catch their last view of beautiful Venice before their imprisonment, torture or execution. 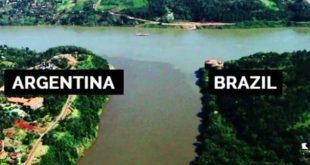 The world’s fourth longest cable stayed bridge was completed in 1991 and reduced the amount of land that was used to construct it by spiraling around itself. 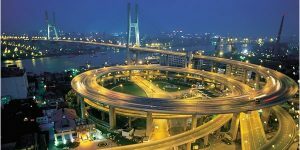 Identified as one of the wonders of bridge construction around the world, Nanpu Bridge is divided into six vehicle lanes with sidewalks of two meters wide, on both sides along the bridge. 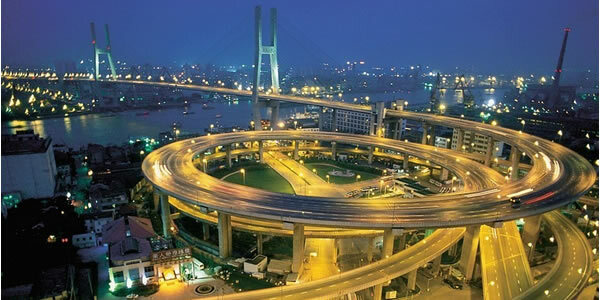 Connecting Puxi to Pudong, it is also the first girder bridge of Shanghai with a structural composition of steel and concrete. At the center of the Mur River in Graz Austria, Aiola Island Bridge was opened in 2003 to serve as an artificial island that lined nature with the city. 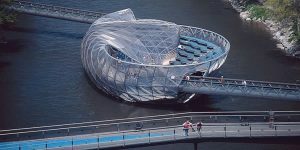 The ingenious, glassy structure has a sunbathing area, a trendy bar, a coffee house, an open-air theater, a children’s playground and a pathway to cross the river. Made from triangular facets of either Nirosta steel panels or flat glass panels, Aiola Island Bridge is a popular attraction amongst the locals. The striking Alamillo Bridge is the only bridge that is balanced solely through added weights not requiring any type of back anchorage. It features a cantilevered cable-stayed span with a single pylon. Equilibrium is attained by inclining its 132-metre-tall mast at an angle of 58º to the horizontal. 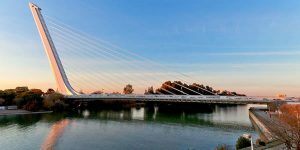 Built for the 1992 Universal Exposition of Seville, it was built more as a monument rather than as a piece of structural art. It stands as a beautiful example of simplicity, balance and elegance. An amazing sight to behold, the Khaju Bridge was built upon the orders of Shah Abbas II around 1650. 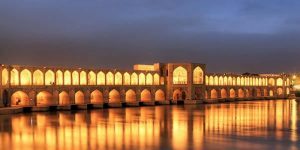 Marked by distinctive intersecting arches decorated with richly colored tiles, the bridge also serves as a dam, irrigating gardens alongside the Zayandeh River. The Prince Parlors, two large pavilions located at the center of the bridge, were originally reserved for the Shah. Today, it houses an art gallery and teahouses and provides vantage points for the remarkable views. The lower level of the bridge may be accessed by walkers and is often used to relax in a shady place. 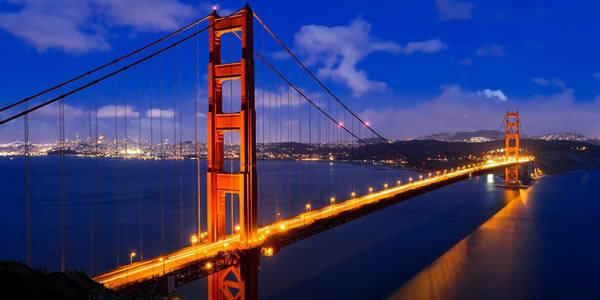 Popping out in remarkable orange on a strait connecting San Francisco Bay to the Pacific Ocean, the Golden Gate has been heralded as one of the Wonders of the Modern World by the American Society of Civil Engineers. When the bridge was completed in 1937, it was the world’s longest and tallest suspension bridge. It took thousands of workers to complete the colossal task of erecting the 8,981 foot marked with two Art Deco towers and 6 lanes that carries vehicles, pedestrians and bicycles. 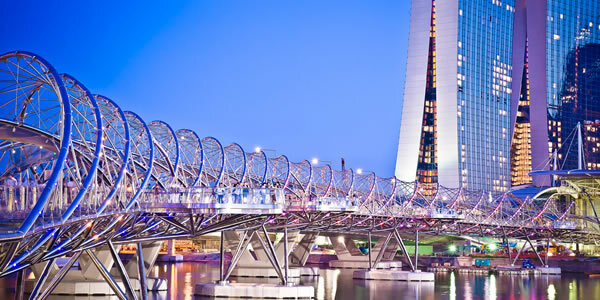 Inspired by the geometric arrangement of DNA, the Helix Bridge has become a landmark in Singapore. The pedestrian bridge stretches 280 meters over the bay and includes a computer-controlled lighting system to set the mood. Seen as a symbol of continuity and renewal, the walkway is surrounded by opposing double helix structures made from stainless steel. 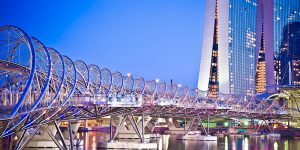 It is the world’s first curved double-helix bridge, linking pedestrians to the Marina Centre, the waterfront area and a large hotel resort. 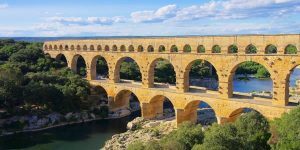 The Pont Du Gard was built by the Romans in the first century and was added to the UNESCO list of World Heritage Sites in 1985. Although it is no longer a functioning aqueduct bridge, it continues to stand as a testament to the skill and precision of Roman engineers. Originally it carried water from a source at the Fontaine d’Eure to a delivery tank in Nemausus from where it was distributed to fountains, baths and private homes around the city. No mortar was used in its construction. 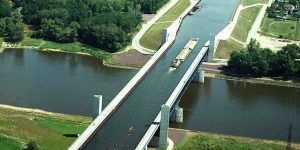 Completed in 2003, the unique Magdeburg Water Bridge is cited as being Europe’s largest water bridge as well as the longest navigable aqueduct in the world. A unification project that joined the former East and West Germany, it connects the Elbe-Havel Canal to the Mittelland Canal. The bridge was built with 68,000 cubic meters of concrete and 24,000 metric tons of steel. Originally called the Stone Bridge, Charles Bridge is Prague’s oldest bridge, and one of its most iconic structures. Commissioned by King Charles IV in 1357 the bridge is adorned with 30 stone statues of saints and personages. The cobblestone floor spans 520 meters and the structure has 16 arches. This mesmerizing bridge draws in hordes of tourists and painters daily who fight for space to get a scenic view of the Vltava River. 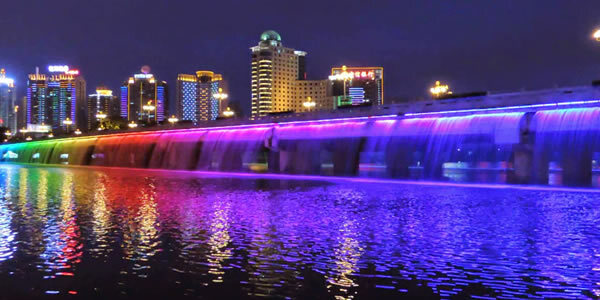 The world’s longest bridge fountain is located in Seoul along the Hangang River and has nearly 10,000 LED lights running along both sides of its 1,140 meter length. The bridge pumps water directly from the river itself and shoots out 190 tons of water per minute, maintaining an eco-friendly cycle. 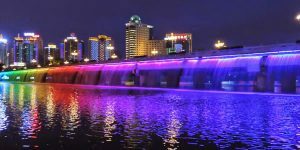 At night the color of the fountain transforms into that of a rainbow by the 200 lights that radiate various colorful effects. Besides connecting the Seocho and Yongsan districts, it also creates a space for a scenic view to be enjoyed by locals and tourists. Easily one of London’s most recognized landmarks, the Tower Bridge is 60 meters long with towers that rise to a height of 43 meters. Its middle section has a movable bridge to permit large vessels to pass through and accommodate boat traffic. Constructed of more than 11,000 tons of steel the bridge’s framework often appears to have been made out of stone. Inside, a display area (the Tower Bridge Exhibition) encompasses the walkway and the two famous towers where visitors can observe the Victorian engine room. 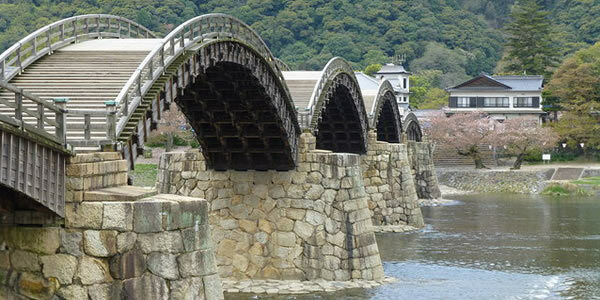 One of the most famous bridges in Japan is the Kintai Bridge, an ancient wooden arch bridge built in 1673. It was a great engineering feat to construct a bridge that would not get flown off by the Nishiki River flood. The engineers decided to build an arching bridge with no pier. 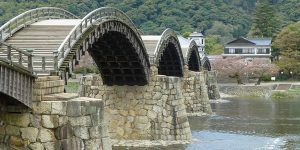 To support five spans of the bridge, four islands having stone walls were built across the river. Attracting sightseers from every corner of the globe, it is a great spot to view the cherry blossoms in the spring.